Friends of the Troy Public Library is a member supported, non-profit organization that advocates, raises funds and provides critical support to the library. It reaches out to the community to create greater awareness of Library services and programs and gives the people of Troy the opportunity to invest in the success of the library by donating funds and by donating time through volunteering. Since 1972 the Friends have been making a difference. Come join us. Provide support for maintaining the appearance and upkeep of the buildings. In addition, the Friends have purchased equipment such as the book drops and bicycle racks. From the Newsletter to the BookSeller, the Friends contribute in many ways to the library. We invite you to join the Friends by printing-out and completing the Friends of TPL application form. The Book Seller, sponsored by the Friends of Troy Public Library, is a place to buy gently used books at bargain prices. Along with books, the Book Seller has a selection of CD’s and DVDs. Contact us if you would like to volunteer to help staff the Book Seller. Volunteers work a minimum of one, three hour shift per month, either on Wednesday or Saturday. 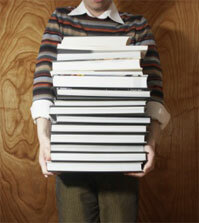 We are happy to accept donations of books or other materials that are in good condition. If we do not add the items to our collection, they will be given to our book sale, held weekly at the Lansingburgh Branch. Although we can sometimes use older books, in most cases books printed more than ten years ago will not be added to our collection and are unlikely to find a buyer at our book sale. Please keep in mind that the library must pay to dispose of book donations that are not usable to us. Books or other materials in good condition. DVDs and CDs must be original copies in playable condition. No magazines, encyclopedias, or Reader’s Digest Condensed Books. Please place all donations in sturdy boxes or bags, and schedule large donations in advance. If you would like a receipt for tax purposes, we can provide a dated acknowledgment of the donation, but cannot place monetary value on donated items.